Some people are more committed to a cause than others. Ben Lecomte? He’s one of those. 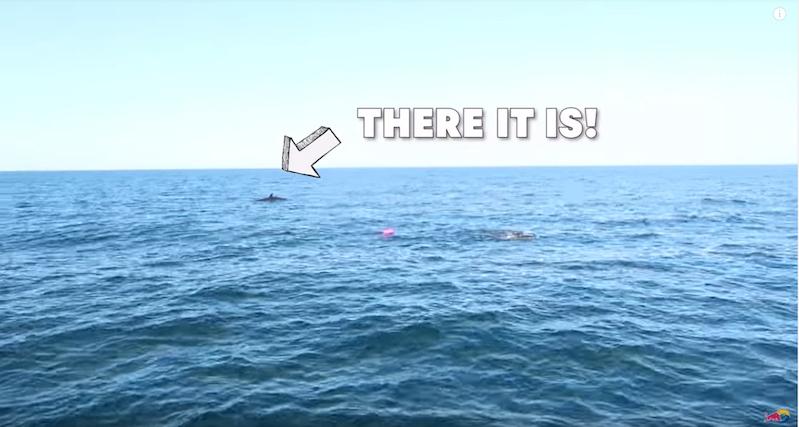 In an effort to highlight the stunning amount of damage humanity is doing to the world’s oceans and generate awareness about plastic pollution, the 50-year old adventurer plans on swimming through 1,600km of the Great Pacific Garbage Patch. Lecomte started his swim this morning in Japan. Provided everything goes according to plan, he’ll finish his aquatic ramblings in 180 days, in San Fransisco. 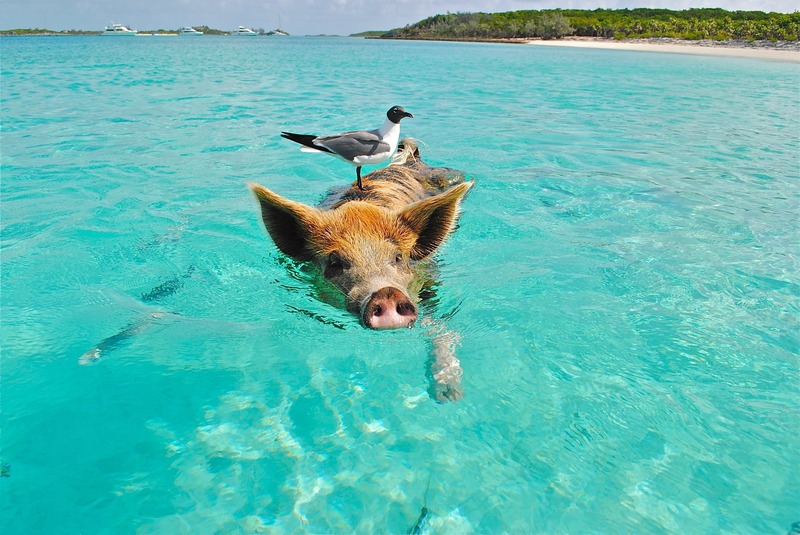 This isn’t his first open water rodeo: according to The Guardian, Lecomte swam across the whole damn Atlantic Ocean back in 1998. The Great Pacific garbage patch, according to the latest March estimate, is twice the size of France and contains nearly 80,000 tonnes of plastic. Also known as the Pacific trash vortex, the patch is caused by the North Pacific gyre – a circle of currents that keep plastic, waste and other pollution trapped. According to scientists, the patch has been growing “exponentially” in recent years. The March estimate found it was 16 times larger than previously expected. Benjamin David was tired of the car traffic during his morning commute in Munich, Germany. 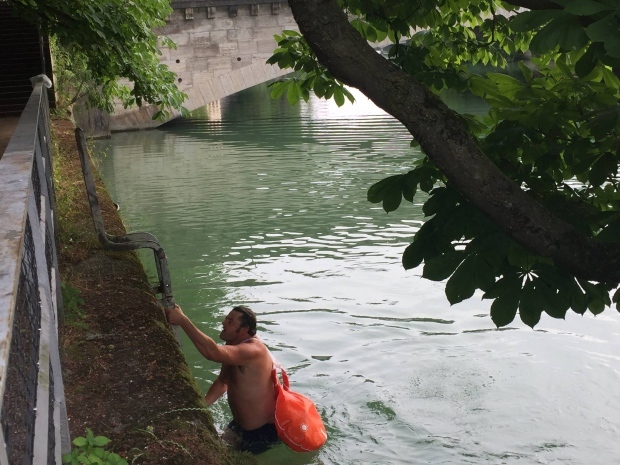 So now he jumps into the Isar River and swims the two kilometres to his job. He packs his clothes, laptop, and phone in a waterproof floating bag. "You kind of really are in a natural, almost wild river in a very urban context, so there's lots of green and pebbles and what not, kind of pebbly beaches, and that's where I start," David said. "And once you get further into the city … it becomes more like a pool actually, the atmosphere, and there's beautiful historic buildings to the right and left of the river, and I just drift by those and enjoy the view." 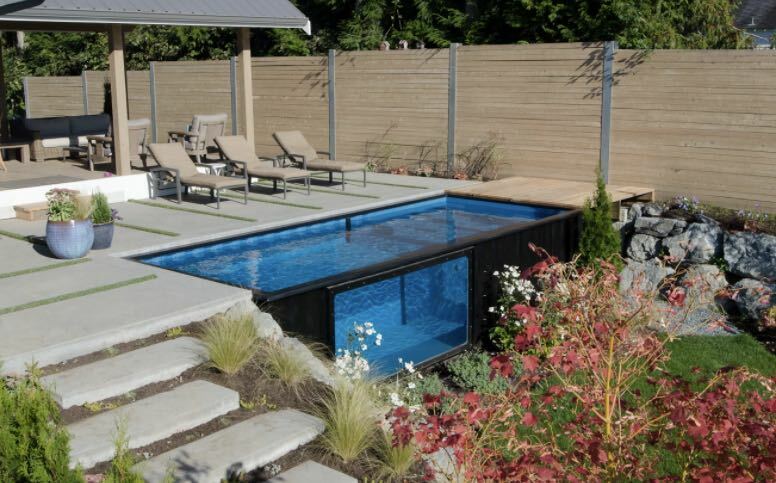 Paris, France is making good on its promise to reopen long polluted waterways to bathers. Up to three hundred people at any time can use the lifeguard-protected pools, although the pools only have locker space for 80. Located in a part of Paris already popular as a place to stroll in fine weather, the new bathing spot is likely to prove a major hit in an already hotter-than-average summer. Early reports suggest that the water is indeed delightful, though a small residuum of green algae does make a post-bathe shower a good idea. How did Paris pull this off? The city’s been working on cleaning up the waters here for decades. Paris’s canals here were once unsurprisingly filthy, running as they do through a former industrial area once packed with cargo barges and polluted by sewage. Since the 1980s, however, regulations managing industrial run-off have tightened substantially, while Paris has invested heavily in wastewater treatment and in preventing sewage from being discharged into the canal during periods of high water. Two years ago, following a concerted clean-up, bacteria levels dropped below safe levels, and rogue bathers have been jumping in the water here for a while. Meanwhile, the Canal Saint Martin, which runs downstream from the basin down to the Seine, was entirely drained and cleaned in 2016, a process that sent a powerful visual message to Parisians that the area’s historic filth was being swept away. In the Olympics, there should be a medal for how impressive a synchronized swimming routine looks upside down and underwater. • It's a change in alkalinity, says Mario Andrada of the Rio 2016 local organizing committee. "We expect the color to be back to blue soon," he said. "...There is absolutely no risk to the athletes or anybody." 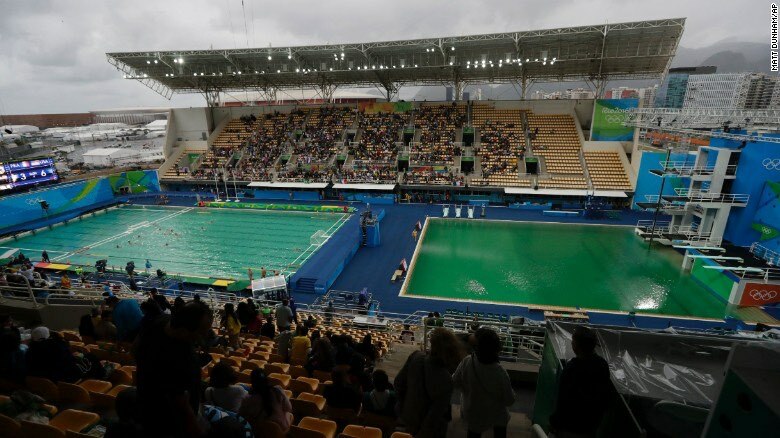 • No, actually heat and still air caused an algae bloom, according to the Olympic organizing committee. • More likely, says FINA, the International Swimming Federation, is that the water tanks "ran out some of the chemicals used in the water treatment process." Wayland appears to be a bit of a wet blanket when it comes to having fun. 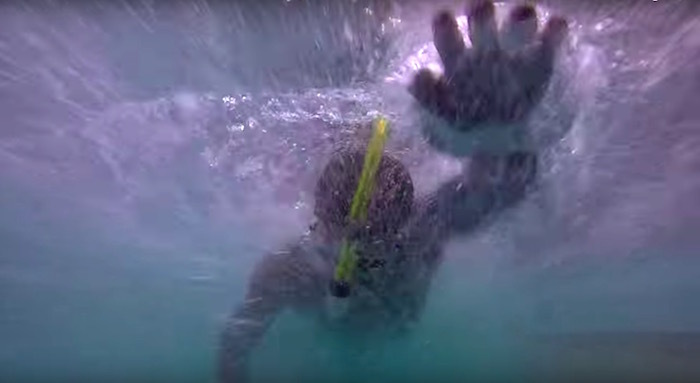 How dangerous is it to swim from Cuba to Florida without a protective shark cage?